Unflavored protein powder is a staple ingredient in my kitchen due to its unbelievable flexibility. As you’ll see below, you can make a ton of recipes using straight up unflavored protein powder. 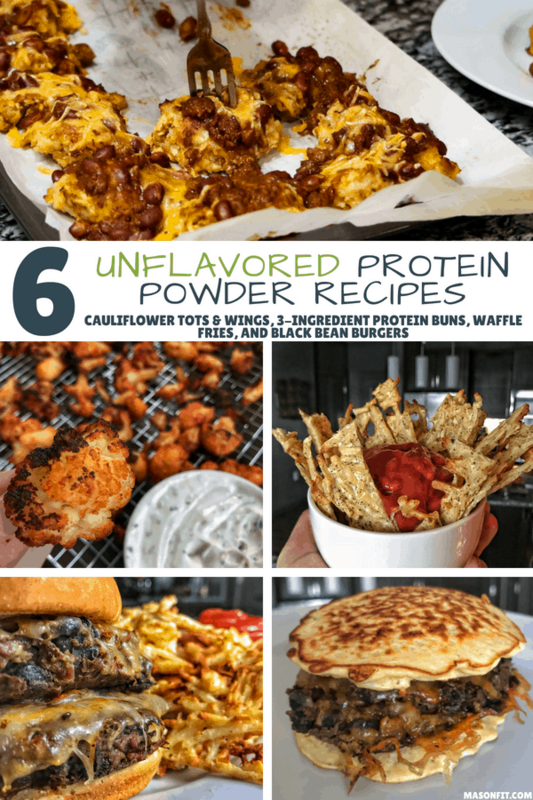 While the recipes I’ll share with you below are more of the savory variety, unflavored protein powder can easily be sweetened to replace traditional protein flavors like vanilla and chocolate. Adding a bit of cocoa and a natural sweetener like stevia opens a world of possibilities. My unflavored protein powder of choice is from Now Sports, which you can find on Amazon here. I prefer whey concentrate as the ultra-filtered isolate tends to be a bit tougher when cooked. If you’re looking for a vegan-friendly option, Now also has an unflavored pea protein which you can find here. Okay, let’s get to the recipes. If you have questions that aren’t in the recipe notes, I’ll link to the full write up for each recipe that dives deeper into the ingredients. 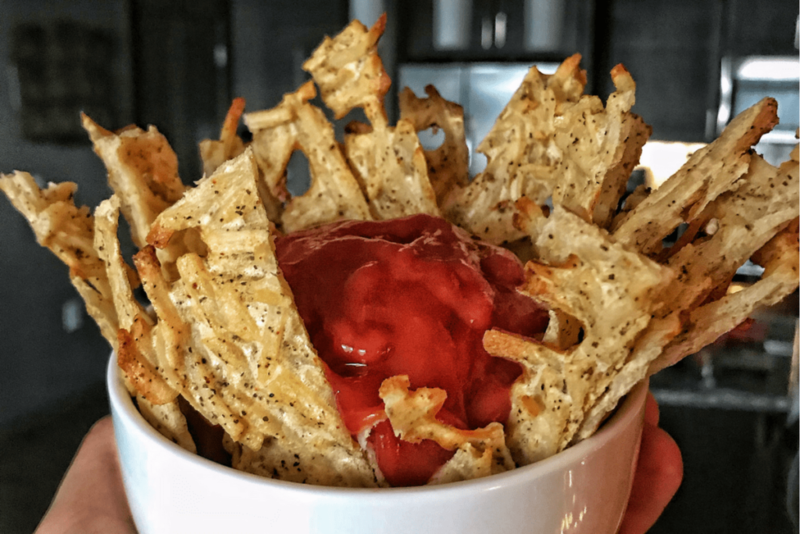 These high protein waffle fries have 1 gram of fat in the entire recipe, and you’ll have an entire baking sheet full of fries to eat for only 245 calories! 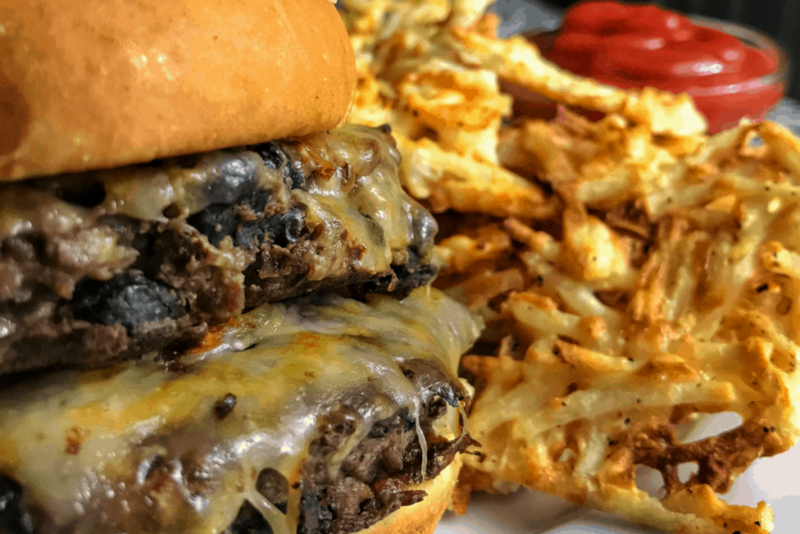 And don’t worry, these aren’t faux french fries like my mashed fauxtato bacon bombs or protein chili cheese tots — they’re made with real potatoes. A high protein waffle fry recipe that will ensure you're never stuck without Chick Fil A on Sunday. Mix thawed hash browns or shredded potatoes with protein powder, egg whites, and seasoning in a large bowl. Add to baking sheet, spreading evenly with small gaps. This should cover a large baking sheet in its entirety. Bake on the bottom rack of your oven for 17-20 minutes or until golden brown and crispy. 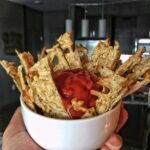 I've found the crispier, the better with this recipe. Remove from oven and cool briefly before cutting fries into strips, squares, or any shape you'd like. 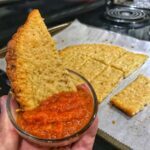 Serve warm with reduced sugar ketchup and enjoy! 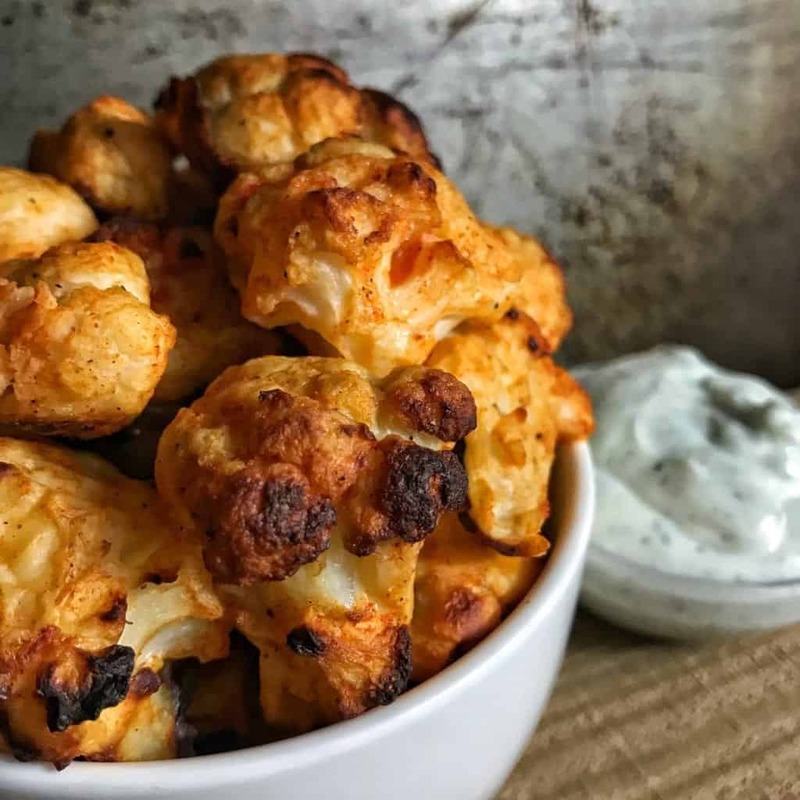 Don’t worry, you’ll never know these cauliflower buffalo wings are high in protein. They’re crispy and full of flavor, and the high protein ranch dipping sauce is fantastic as well. You’ll be snacking in style without all the calories in no time! A crunchy, high protein, low calorie take on buffalo wings with ranch dip. Mix all ingredients except the buffalo sauce in a large bowl before stirring cauliflower florets into mixture, fully coating the cauliflower. Spread cauliflower (without buffalo sauce) flat on the baking sheet. Bake for 20 minutes. After 20 minutes, remove cauliflower from oven and toss in buffalo sauce. Bake for an additional 15-20 minutes depending on how crispy you'd like your wings. While your wings cook, mix Greek yogurt and ranch dip mix together for dipping. If your wings aren't as crispy as you'd like, you can either extend the cook time, squeeze some of the excess moisture out of the cauliflower before adding other ingredients, or slightly reducing the amount of egg whites used. You can also lower the heat to 400 degrees and cook for longer to avoid burning while removing excess moisture. 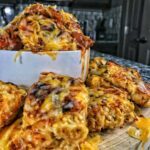 A 20-minute prep time, massive amount of food, and excellent macro breakdown make these cheesy garlic bread sticks a must make recipe. 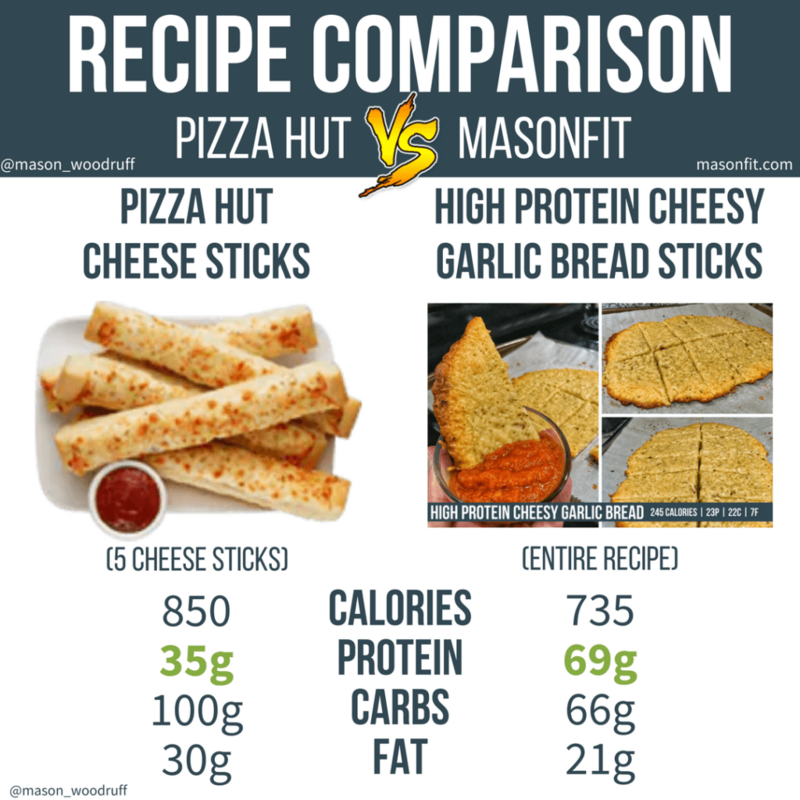 A high protein, lower fat alternative to the classic cheesy garlic bread. Double check that your crust is evenly rolled. If you have a thicker center than edges, your edges will be crispy but the center may be tough. Melt butter for 15-20 seconds in the microwave and add 1 tsp of minced garlic. Stir. Brush or spread the butter/garlic mixture on top of your rolled dough, followed by the parmesan and mozzarella cheese. Bake for 10-12 minutes or until the edges of your bread are golden brown. A healthy tater tot recipe that provides nearly 7 grams of protein per tot with only 68 calories! With the chili and cheese, those numbers go to an equally impressive 9 grams of protein and 86 calories. 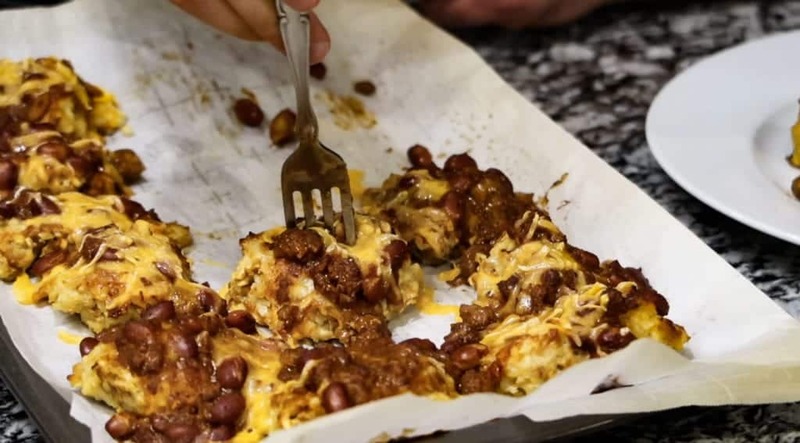 A macro friendly recipe for chili cheese tater tots with 9 grams of protein and only 85 calories per tot. If using frozen cauliflower rice, heat the rice in the microwave as instructed or set it out to thaw ahead of time. Add pretzels to a food processor, blender, or Ziploc bag. Blend into a fine flour-like texture. Add pretzel flour and remaining ingredients to a large mixing bowl. Add the cooled cauliflower rice as well. Stir until evenly mixed. Form tots to desired size by hand. Squeeze each tot with quite a bit of force to form solid tots that don't fall apart in the process of cooking and flipping. Bake for 10 minutes before flipping each tot and cooking for 10 additional minutes. If you're making small tots, you may be able to cook straight through for 20 minutes without flipping. After the tots are finished, top with chili and cheddar cheese before popping them back in the oven for 2-3 minutes or until the cheese has melted. Swap bread crumbs for protein powder if you don't have it on hand. 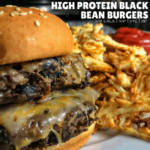 These black bean burgers pack over 10 additional grams of protein per burger than regular black bean burgers! 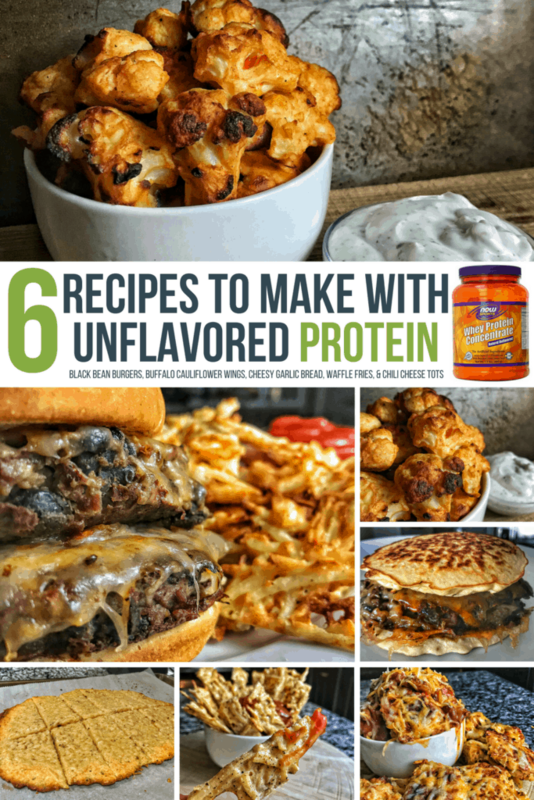 Black bean burgers with a higher protein twist. Mix protein powder, an egg, black beans, and seasoning in a large bowl. Add ground turkey or meat of choice, stirring with hands or rubber spatula until evenly mixed. Heat a large griddle or two skillets over low-medium heat. Spray with low-cal nonstick cooking spray. Using your hands, form 6 patties with your meat mixture. Start with a palm-sized portion for evenly sized burgers. Towards the end of cook time, add cheese slices to each patty. 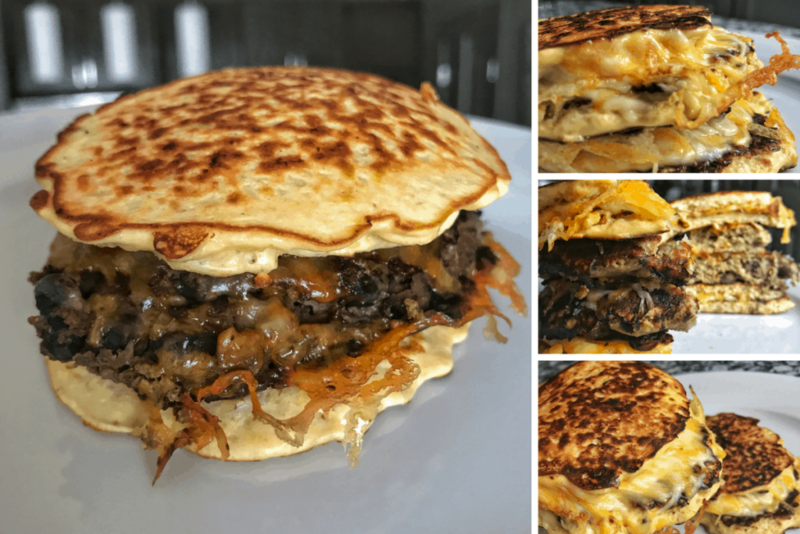 Toast the Foldits or buns on the skillet or in a toaster oven and enjoy! 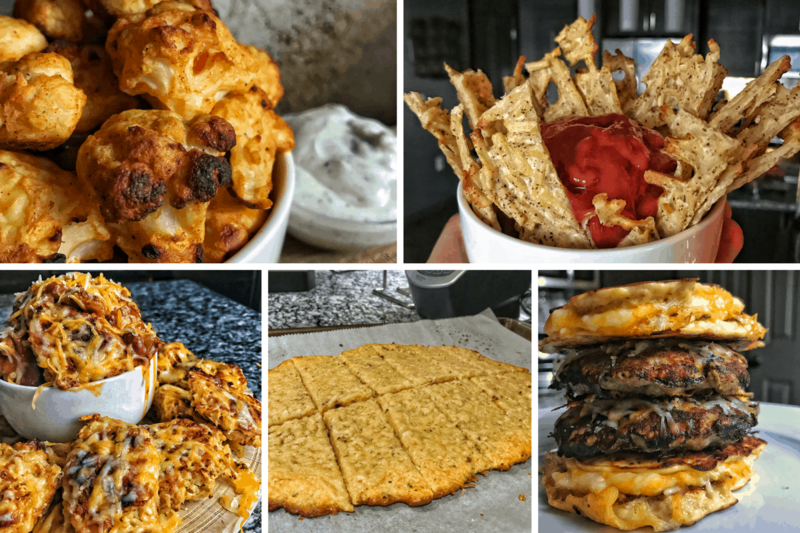 These obviously go great with the burgers above but could be turned into a grilled cheese, deli sandwich, or a barbecue sandwich using the pulled pork from my healthy low-cost meals breakdown. 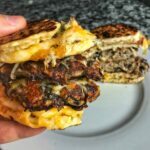 A high protein, low carb bun alternative using cauliflower and unflavored protein powder. If you haven't thawed your frozen cauliflower rice, place it in the microwave for 4-5 minutes. Remove from microwave and bag to cool briefly. Mix protein powder, seasoning, and breadcrumbs in a large bowl. Add cooled cauliflower to protein/breadcrumb mixture, stirring until completely mixed. Don't over stir or you'll end up with an oatmeal-like mixture. Heat griddle or large skillets over low-medium heat and spray with nonstick cooking spray. Add roughly 2 tablespoons of the cauliflower mixture in small circles. Using the backside of a spoon or spatula, flatten slightly to desired thickness. Allow the buns to brown on the bottom, similar to a pancake — likely 2-3 minutes per side. If you’re looking for more recipes, especially for a sweet tooth, check out my free cookbook for chocolate lovers. 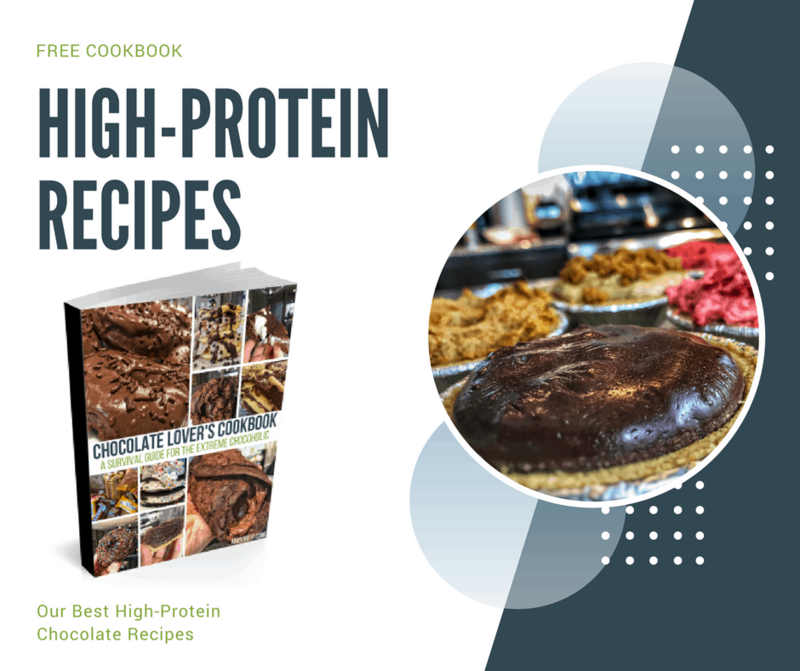 You’ll find 10+ of my most popular macro friendly chocolate recipes. You can learn more about the cookbook here or enter your info below and I’ll send it your way.